Best-in-Class 410 Gas Horsepower Based on class 3-5 conventional chassis cabs. 370 hp on 3500 Chassis Cab models over 10,000 lb GVWR; 366 hp on 4500/5500 Chassis Cab models. Best-in-Class Diesel Torque Based on class 3-5 conventional chassis cabs. Best-in-Class Dual Fuel Tank Capacities Based on class 3-5 conventional chassis cabs. 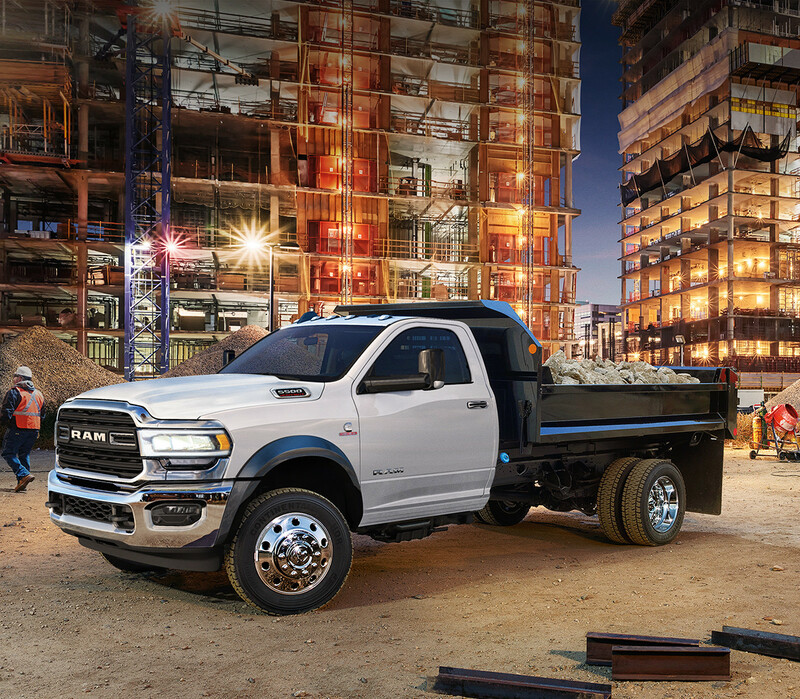 The new 2019 Ram Chassis Cab offers Best-in-Class 16,000 km recommended gas engine oil change intervals Based on class 3-5 conventional chassis cabs. and Best-in-Class 19,600 km recommended diesel engine oil change intervals. Based on class 3-5 conventional chassis cabs. Stay on the road longer with Best-in-Class standard single and available dual fuel tank capacities, Based on class 3-5 conventional chassis cabs. 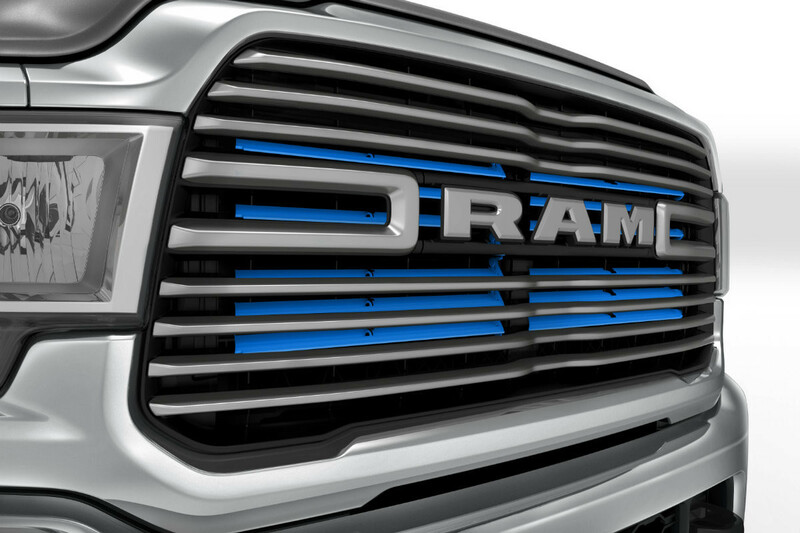 active grille shutters and a variety of impressive built-in cost-saving features. 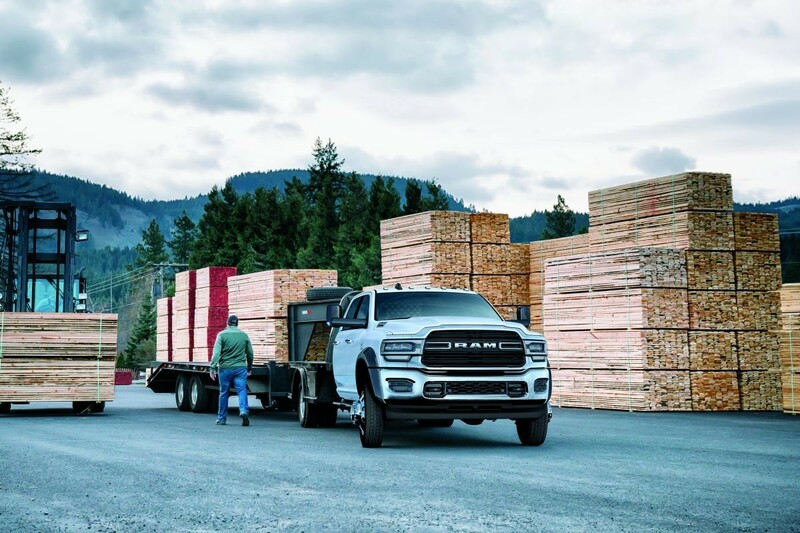 The new 2019 Ram Chassis Cab offers improved Power Take-off (PTO) capability, control and customization options. A new available Mobile Mode RPM Up setting lets drivers set a higher RPM while the PTO is in mobile mode via steering wheel controls. 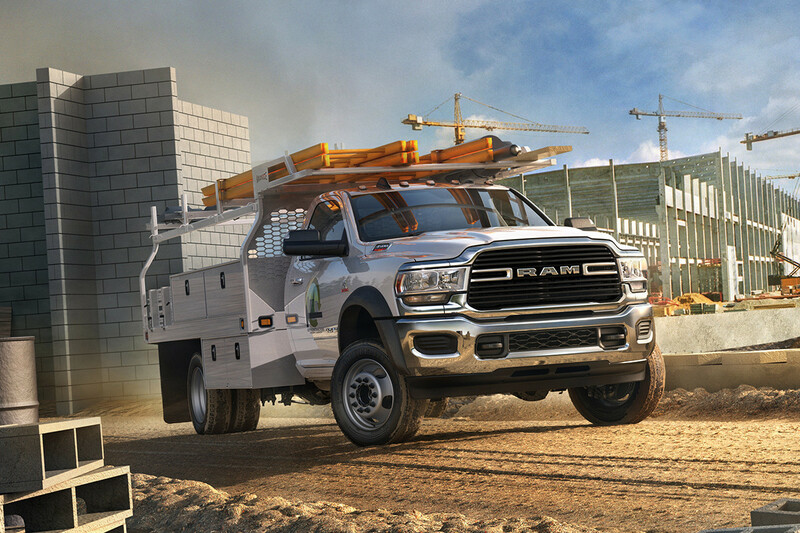 The new 2019 Ram Chassis Cab offers an available dual alternator system that delivers a Best-in-Class output of 440 amps Based on class 3-5 conventional chassis cabs. to power a wide variety of upfits. This translates to increased functionality for almost any purpose. 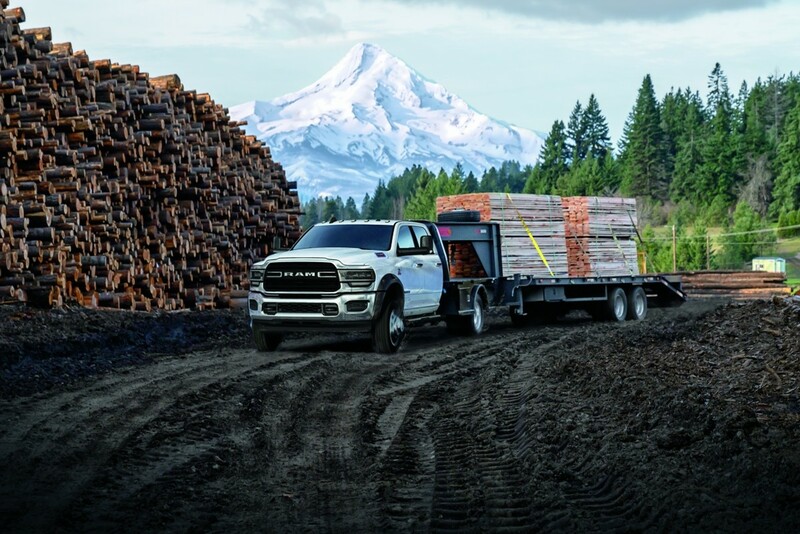 The new 2019 Ram Chassis Cab offers Best-in-Class Gross Combined Weight Ratings on 3500, 4500 and 5500 with both the gas and diesel engines. Based on class 3-5 conventional chassis cabs. That’s up to a 43,000 lb (19,504 kg) GCWR Based on class 3-5 conventional chassis cabs. on the 5500 model from the available Class-Exclusive 6.7L Cummins® Turbo Diesel engine. Based on class 3-5 conventional chassis cabs. 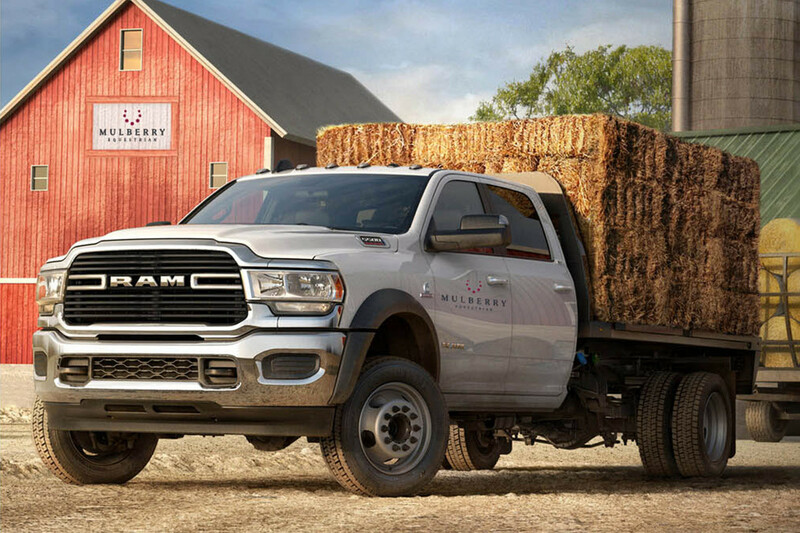 The new 2019 Ram 4500 and 5500 Chassis Cab models offer more torque than any other trucks in their classes. Based on class 3-5 conventional chassis cabs. 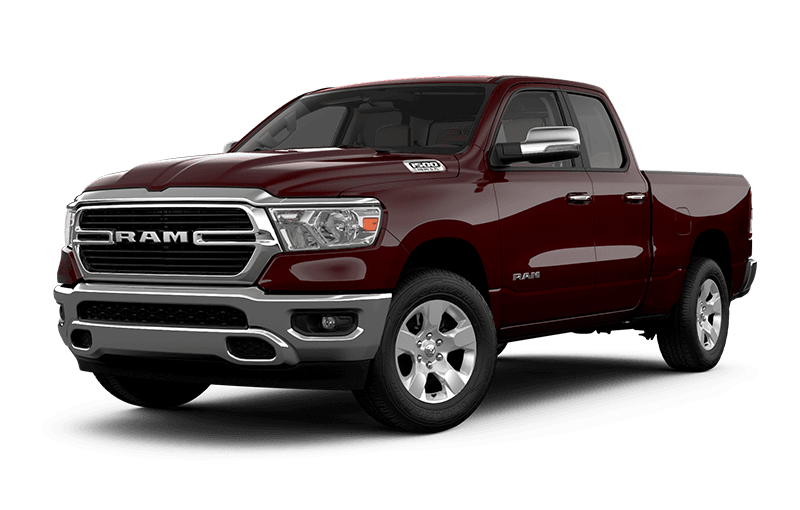 That’s up to 800 lb-ft from the available Class-Exclusive 6.7L Cummins® Turbo Diesel engine Based on class 3-5 conventional chassis cabs. 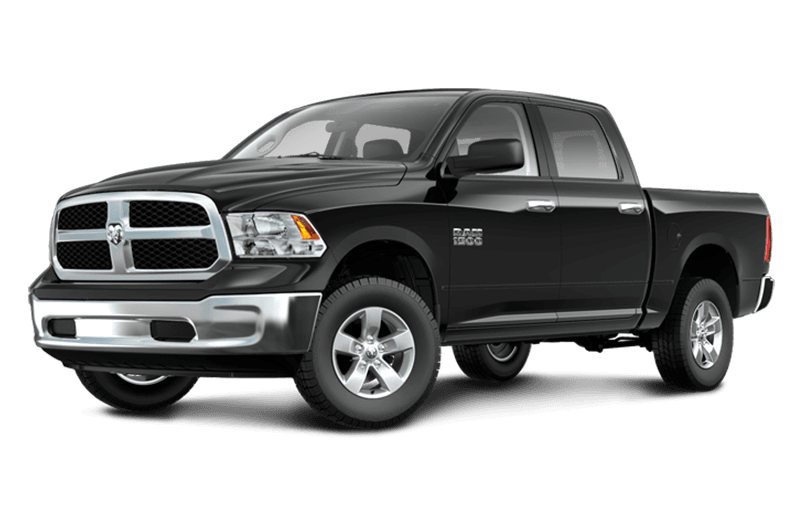 and up to 429 lb-ft from the legendary 6.4L HEMI® V8 engine. 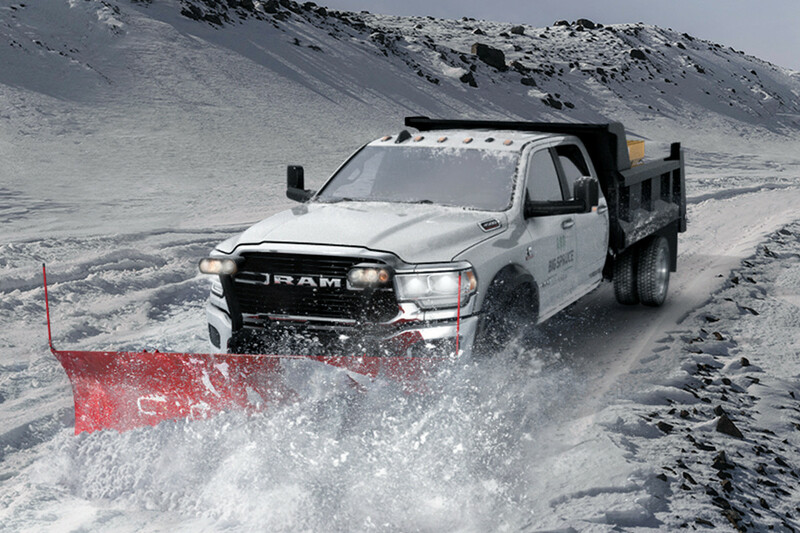 Haul more thanks to Best-in-Class Gross Combined Weight Ratings Based on class 3-5 conventional chassis cabs. with either gas or diesel engines. 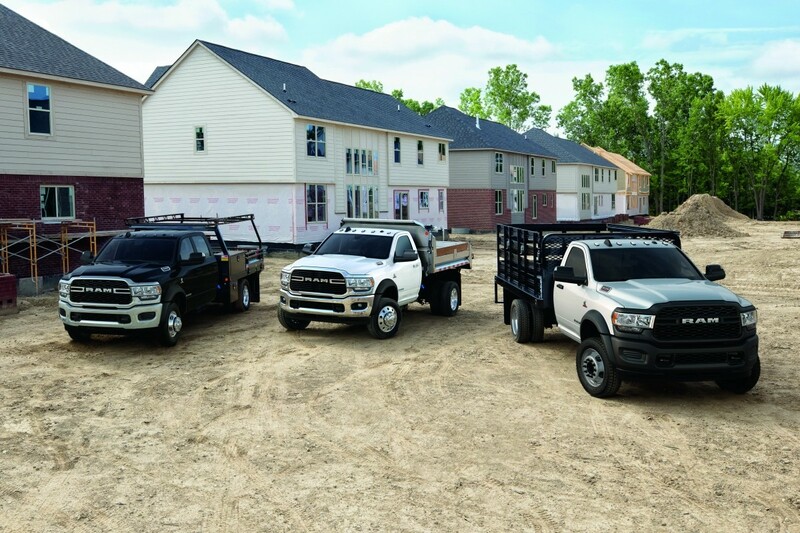 The new 2019 Chassis Cab exceeds expectations with Best-in-Class Maximum Trailer Weight Ratings Based on class 3-5 conventional chassis cabs. on all models and Best-in-Class torque Based on class 3-5 conventional chassis cabs. on 4500 and 5500 models. 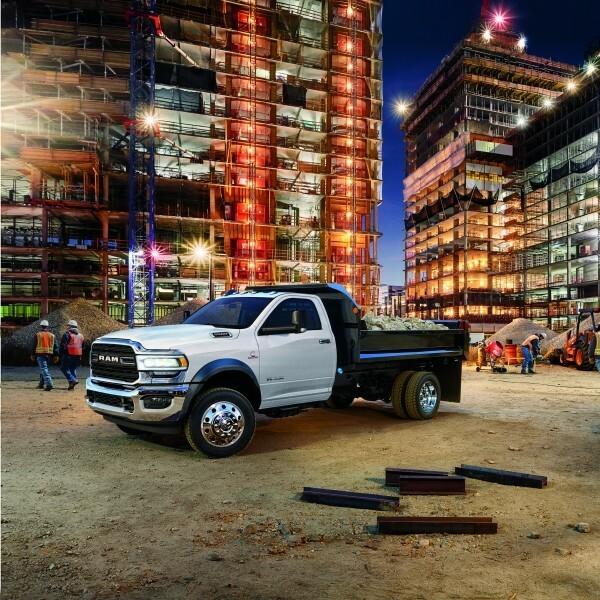 The new 2019 Ram Chassis Cab offers more upfit possibilities and capabilities than ever before. Fit a bigger upfit thanks to an unsurpassed steel rear frame strength Based on class 3-5 conventional chassis cabs. of 50,000 PSI, Best-in-Class available maximum Dual Alternator output of 440 amps Based on class 3-5 conventional chassis cabs. and other upfit-friendly features. 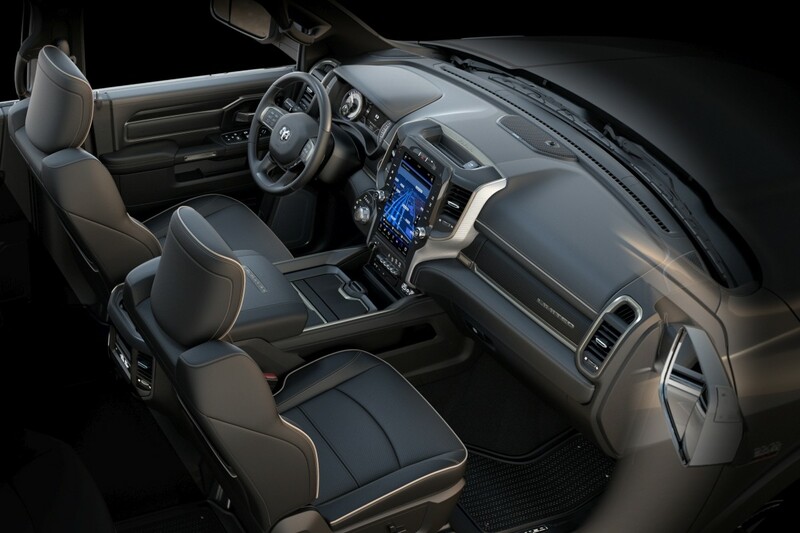 Both the available 8.4-inch and Largest-in-Class 12-inch touchscreens Based on class 3-5 conventional chassis cabs. 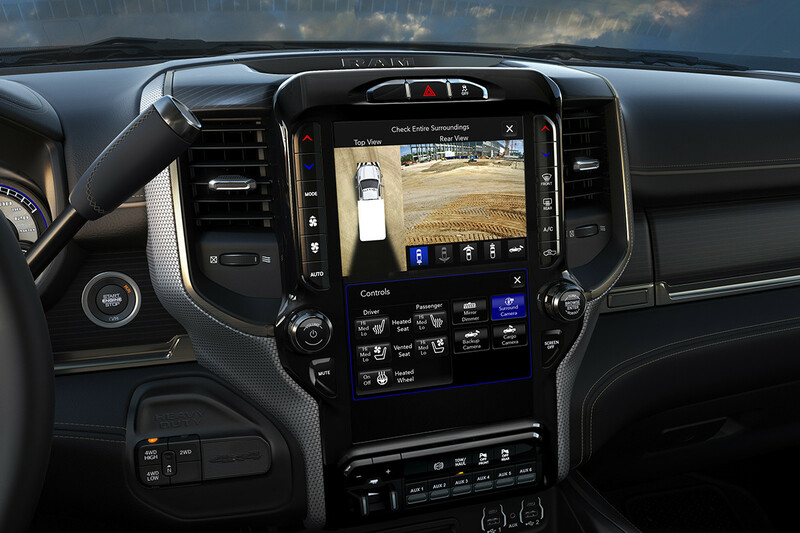 offer an unprecedented view of your surroundings, thanks to an available Class-Exclusive 270-Degree Surround View Camera. This is a driver convenience system, not a substitute for active driver involvement. The driver must remain aware of their surroundings and be prepared to take corrective action to avoid collisions. Help ensure peace of mind with impressive safety and security features available on all trim levels, like a Class-Exclusive Based on class 3-5 conventional chassis cabs. Adaptive Forward Lighting System, This is a driver convenience system, not a substitute for active driver involvement. The driver must remain aware of their surroundings and be prepared to take corrective action to avoid collisions. 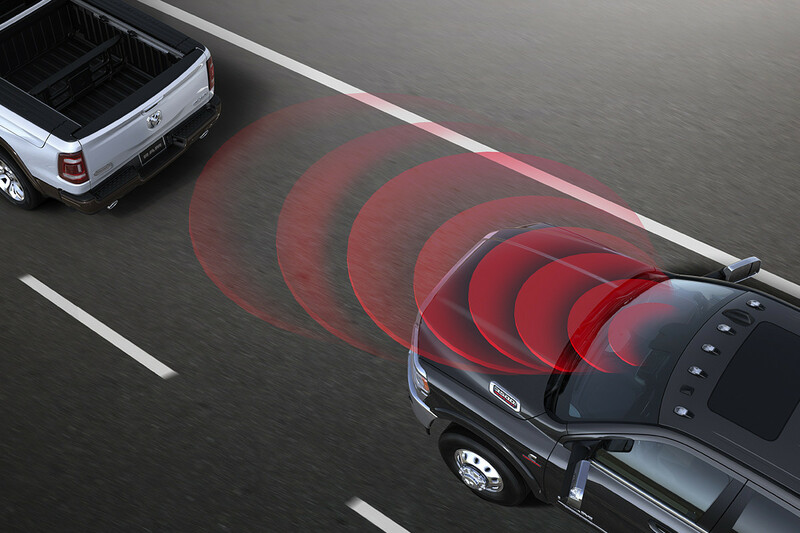 Full-Speed Forward Collision Warning with Braking This is a driver convenience system, not a substitute for active driver involvement. The driver must remain aware of their surroundings and be prepared to take corrective action to avoid collisions. and Class-Exclusive Based on class 3-5 conventional chassis cabs. Adaptive Cruise Control with Stop capability. This is a driver convenience system, not a substitute for active driver involvement. The driver must remain aware of their surroundings and be prepared to take corrective action to avoid collisions. 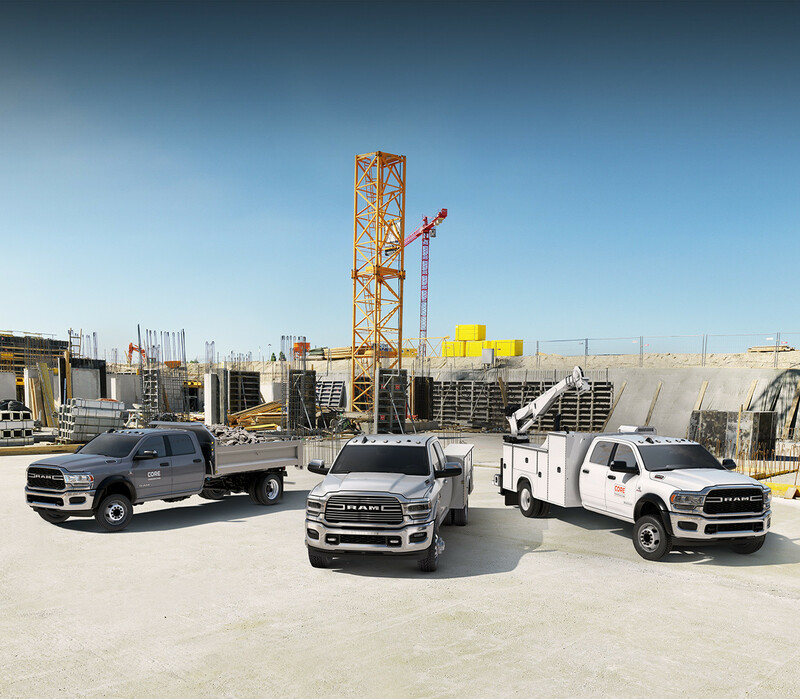 Sign up to get the latest news on the new 2019 Ram Chassis Cab featuring Best-in-Class capabilities, outstanding technology and enhanced safety features.